I picked these up at a Web site called Gilt. They are Azaara and the stones used are crystals. 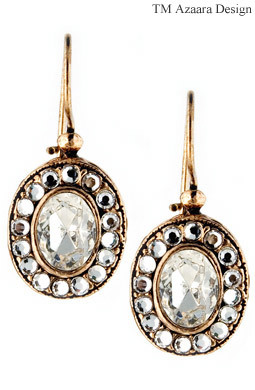 They were originally $107, but they only cost $38 on Gilt. Gilt is a discount site for clothes from top designers, but you have to be invited. If you want the invite please leave a comment.